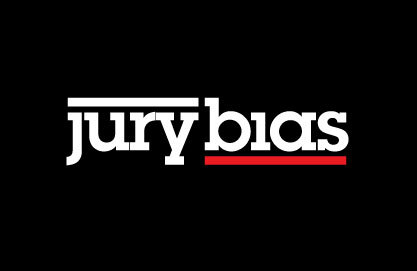 Jury Bias: Speaking generally is an important communication tool to help jurors find meaning in jury duty! Speaking generally is an important communication tool to help jurors find meaning in jury duty! Is the eternal quest for precise information always worthwhile? Our research suggests that, at times, vagueness has its merits. Previous research has demonstrated that people prefer precise information to vague information because it gives them a sense of security and makes their environments more predictable. However, we show that the fuzzy boundaries afforded by vague information can actually help individuals perform better than can precise information. We document these findings across two laboratory studies and one quasi–field study that involved different performance-related contexts (mental acuity, physical strength, and weight loss). We argue that the malleability of vague information allows people to interpret it in the manner they desire, so that they can generate positive response expectancies and, thereby, perform better. The rigidity of precise information discourages desirable interpretations. Hence, on certain occasions, precise information is not as helpful as vague information in boosting performance. In this interesting article, Baba Shiv and his colleagues demonstrate the power of vague information or communicating ambiguously. The research demonstrates that vague information allows the recipient to interpret the information to give it personal meaning. Precision in the evidence at trial is critical because jurors do not tolerate ambiguity. As ambiguity in the evidence increases the probability of a defense verdict also increases. Nonetheless, there are multiple opportunities during trial to speak generally thereby allowing jurors to internally tailor the message and maximize personal meaning. To cope with anxiety about the plaintiff’s harm, jurors may distant himself or herself from the plaintiff and rationalize that if they were in the plaintiff’s shoes they would have acted differently. In other words, they would have prevented the injury; consequently, allowing jurors to believe their world is safe. This form of defensive attribution inhibits feelings empathic towards plaintiff. Reducing juror anxiety allows jurors to feel empathic. Speaking generally can be a useful tool. According to attachment theory, when you ask people about whom they turned to in time of need it creates feelings of protection and safety. On direct examination, asking plaintiff, for instance, whom they turned to in this time of need, is an indirect way of asking jurors to think about whom in their lives are important and provide warmth and protection. Jurors unconsciously will call to mind a positive figure that will produce feelings of safety and protection. Plaintiff will be linked to a positive personal and emotional, albeit unconscious, juror experience. Instead of asking the plaintiff during direct about a specific person who provides comfort, and risk jurors having a negative association with a particular family member or relationship, speaking generally allows jurors to choose the person whom provides the greatest comfort to them. Other examples of speaking generally include "There was a certain time during the trial when you knew that the [plaintiff] was entitled to your verdict" or “You can recall when you first realized that the hospital was at fault". Here jurors are allowed to choose the specific time he or she reached the conclusion. There is no need to tell jurors when they reached that conclusion and it really does not matter. What is important is to allow jurors to internally tailor the message to fit his or her experience. There are numerous opportunities to speak generally during trial, particularly during closing argument. During voir dire jurors provide a glimpse into their lives. This information can be used to frame the case so it has personal meaning for jurors. During voir dire jurors may have disclosed, as an example, understanding the importance of community service, jury duty, rules, the rule of law, and the meaning of loss. The list is endless. Jurors can be reminded, for instance, “this is a jury that understands the importance of rules”. Personal disclosures during voir dire can be used to help give meaning to jury duty. In one case, during voir dire a potential juror framed the number of children he had stating "I have three children living." This juror could have stated he has three children and omitted the reference to his loss. The loss of a child was obviously important enough to publicly disclose his loss during voir dire. This communication was gift. If understanding loss is important in the case the jury in closing can be told, "This is a jury that understands the meaning of loss". This general communication is not directed to any particular juror. Most people have experienced loss. Yet, this communication allows each juror to internally tailor the message to give it meaning, including the juror who expressed his experience of loss during jury selection. Other examples of speaking generally include having jurors imagine the future wondering whether the verdict was sufficient. This is a common practice and has psychological implications beyond the scope of this short note. Rather than suggesting jurors think about themselves in a specific future activity, allow jurors to choose which activity to picture while thinking about plaintiff. For instance, telling jurors "A few years from now, you may be doing this or that, or doing your favorite activity, and as you take an easy breath you may begin to wonder just how Sarah [plaintiff] is really doing. And you may wonder whether the verdict was really enough...” The communication allows jurors to imagine his or her favorite activity rather than choosing it for them. Giving jurors the freedom to choose builds rapport and motivates them to find meaning in the communication. 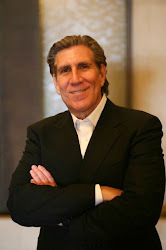 Speaking generally or ambiguously is useful tool trial lawyers can use to make a jury duty more meaningful for jurors!